Months later, the island was still devastated, but the Trump administration and Puerto Rico’s government claimed in December 2017 the death toll was 64. Anyone with working brain cells knew it wasn’t that low, but according to a new study published Tuesday in the New England Journal of Medicine that death toll was actually near 5,000. And that could still be an underestimation. Not even Trump and his minions can be so incompetent to be off by “more than 70 times” an actual number. In October, Trump bragged that there were only 16 fatalities in Puerto Rico, saying that Hurricane Maria wasn’t a “real” catastrophe like Hurricane Katrina. However, he hasn’t commented on the death toll since. 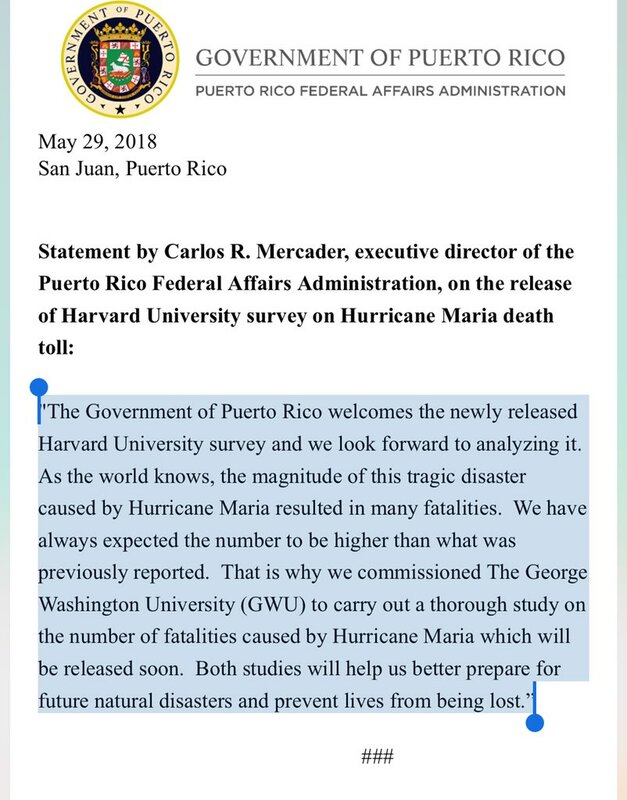 The Puerto Rico Federal Affairs Administration released a statement saying it always expected the number to be higher. Either Trump outwardly lied or he didn’t use his brain to know that considering the devastation, it would be impossible for the death toll to be 16 or 64. Whether it was the fault of Puerto Rico’s government or not, the incompetence starts at the top. Our condolences go out to everyone affected by Hurricane Maria.